Faculty, staff and students, along with alumni and the local community, are invited to partake in the festivities. This year’s homecoming theme is “Shakas Up!” Events include games, philanthropic events, alumni recognition and other fun activities. A few festive highlights include the annual Lighting of the “I,” the Homecoming Block Party and cheering for our Islanders Men’s and Women’s Basketball teams. Game tickets are available at GoIslanders.com or by calling 361.825.BALL. 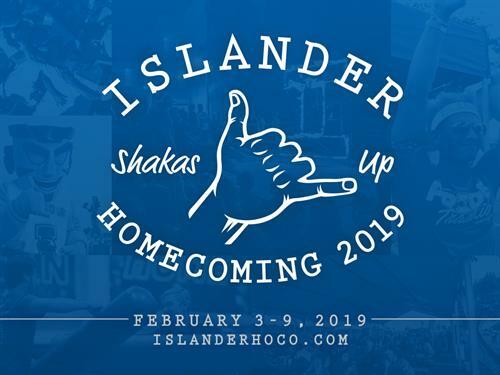 For more information on any Homecoming 2019 events, visit islanderhoco.com, email russell.wagner@tamucc.edu , or call 361.825.2352. Game tickets are available at GoIslanders.com or by calling 361.825.BALL.